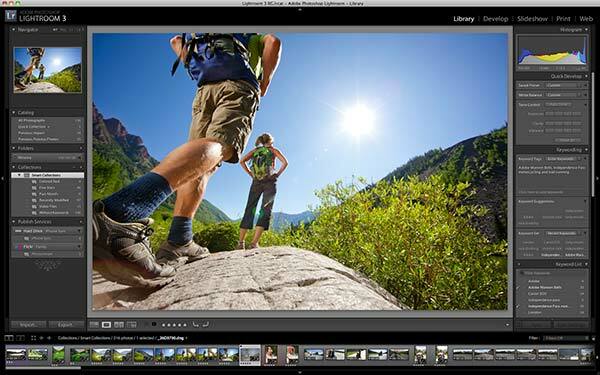 Adobe Lightroom 3: Half Price Now for Customers Worldwide! Quickly process and manage your images for less. Save 50% instantly on a full version of Adobe Photoshop Lightroom 3, plus free shipping. * Receive a savings of 50% off the standard price of a full version of Adobe Photoshop Lightroom 3 when purchasing directly from the Adobe Online Store from 19 January 2012 until 5 March 2012. Offer is limited to one discount per customer. Free shipping also applies. The discount will be applied automatically in your shopping cart, no coupon code is necessary. The 50% discount will be taken off subtotalled amounts prior to calculation of tax. Allow 2-3 days for software delivery. Special is not valid for subscription products, OEM bundles, or education versions of software. This promotion is subject to availability and to change or withdrawal without notice. Note this reduction is not available for upgrades to Lightroom 3, which still cost US$99 from any previous version… But if Lightroom’s regular pricing stays the same for the next release, then by paying half price now you can get both LR3 immediately plus Lightroom 4 later for $248 total ($149+$99). Or if it happens that LR4 comes out within the next 30 days, you can use Adobe’s Exchange Policy to return LR3 and get LR4 instead if you want. Meanwhile, students and teachers worldwide can continue to benefit from deeply-discounted educational pricing to buy a full copy of Lightroom 3 for just US$89, which is more than 70% off the regular price. So if you’ve been thinking about making the jump to this well-regarded product, here’s a great entry… If you prefer to try before you buy, you can immediately download the fully-functional free trial, and then just convert it to permanent within the offer period above. One Day Deal: Save $150 on Adobe Lightroom 3 Today – Half Price! Sorry about that – that’s our word and not Adobe’s… There is indeed a special offered on Lightroom 3 in Asia (China, Taiwan, Hong Kong), but the discount is 15% plus free shipping (rather than 50%). Adobe Photoshop CS5 (full) is also included in the 15%-off Asia sale, which is not the case elsewhere in the world. On other promotions, the current 20% off upgrades to CS5 or CS5.5 is also valid throughout Asia. That one covers Southeast Asia (Singapore, Indonesia, Malaysia, Philippines, Thailand), China, Taiwan and Hong Kong.